FireShot is a clever, tool that helps you capture full webpage screenshots, combined with a follow-up action like save or e-mail. FireShot is available for all major web browsers Mozilla Firefox, Internet Explorer, Google Chrome, Opera and more. In will briefly compare the FireShot Free and Pro version, have a look at the FireShot Mozilla Firefox add-on and discuss its structure. FireShot Desktop currently only available for 64 bit Firefox will be highlighted as well. FireShot Capture or open ? Each installation starts with a 30-day trial of the Pro version. After 30 days the Pro features are automatically switched-off if you didn’t add your license information to the FireShot tool. Multi-editor interface. 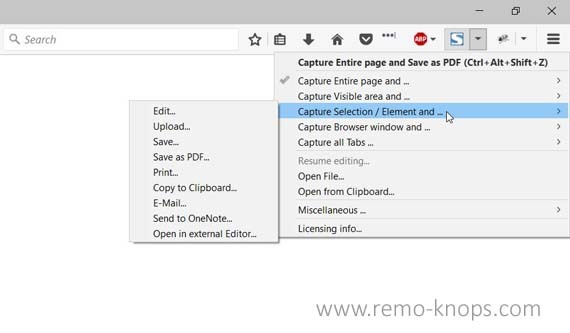 You can switch between captures, use clipboard to exchange annotation objects. Saving and Loading graphic files. You can add comments to your photos by dragging and dropping them onto the Editor. Work with clipboard. You can edit anything that can be copied to your clipboard! Browsers sometimes do not print documents exactly as you want them to. The Pro-version will give you the exact printout you want. 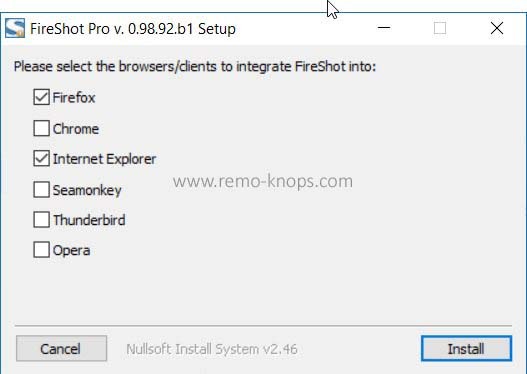 FireShot installs as an add-on in your preferred web browser (you can select/un-select the various check-boxes during the installation). As said FireShot is installed as an extension in Mozilla Firefox, and added to the toolbar in the upper right corner the browser window (check of the S-logo on the button). From there pull down menu you can select the various options to take a full page screenshot of a web page. 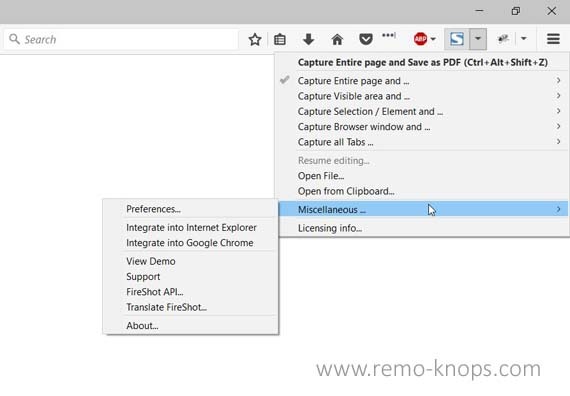 In addition to the capturing options above you can enter the FireShot preferences and copy your licensing info. When you choose to open a file (from your hard-drive or from the clipboard) you will be able to edit the file in the FireShot editor, which is a basic picture editor. It is not Adobe Photoshop but it does the trick for most people. The follow-up action looks in the FireShot Pro version almost always like the options below. Sending the screenshot directly to Microsoft OneNote is an option that I regularly use. 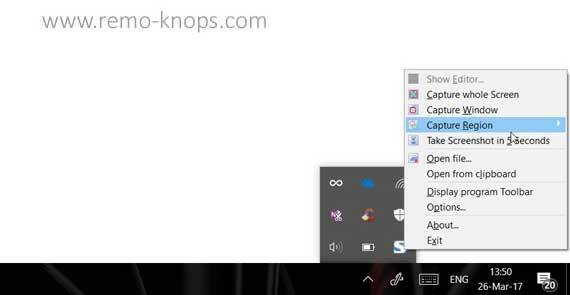 (Don’t forget to check out the Onetastic addin for Microsoft OneNote. )Also uploading screenshots to for example Flickr is a commonly used follow-up that I use. Good thing is that you can set a follow-up action, so with a single click you do two things. 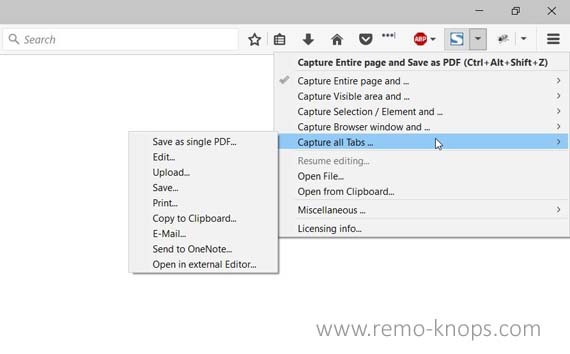 For example: “Capture the entire page and save as PDF” or “Capture visible area and Sent to OneNote”. I’m using a beta version in which FireShot Desktop is available. I will provide a brief overview of this tool as I’m running a 64-bit version of Mozilla Firefox. 🙂 Basically FireShot Desktop is a screenshot tool like WinRT WinSnap or recently reviewed Lightshot. 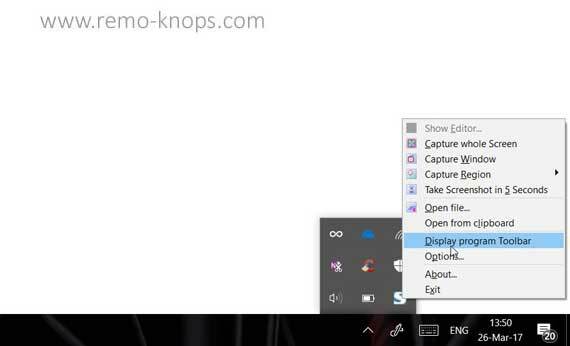 FireShot Desktop has a program icon in the notification area of your Windows taskbar. By right clicking on the icon you will open a pop-up menu with the following functions, that have similarities -of course- with the Firfox Add-in. FireShot is more than a tool that is capable of taking full webpage screenshots (although this is a very handy feature). The ability to configure the “and action” makes FireShot also a productivity tool. Especially when you configure the automatic uploading to Flickr, Google Picasa, ImageShack, EasyCaptures. The picture editor is basic, but will be sufficient for most of the users (at least to me). Normally I use Paint.NET – Free Software for Digital Photo Editing. 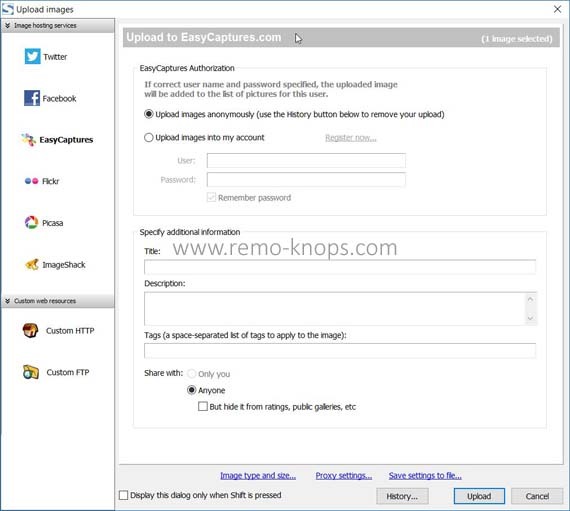 FireShot Desktop can replace your screenclipping/screenshot tool. Despite I’m used to using WinRT WinSnap (or recently reviewed Lightshot) FS-Desktop works very well, and makes use of the same editor as FireShot for Firefox. So from an integration point of view, FireShot Desktop is an excellent addition/extension to the FireShot for Mozilla Firefox. I really hope that developer Evgeny Suslikov can make FireShot Desktop available for other versions as well (currently only available for Firefox). Please note I have been using a beta version. You can purchase a FireShot Pro Lifetime license for €39,95. Given the fact that you basically get both FireShot for your webbrowser and FireShot Desktop makes it a more than reasonable price point. What software tool do you use for creating full webpage screenshots ? 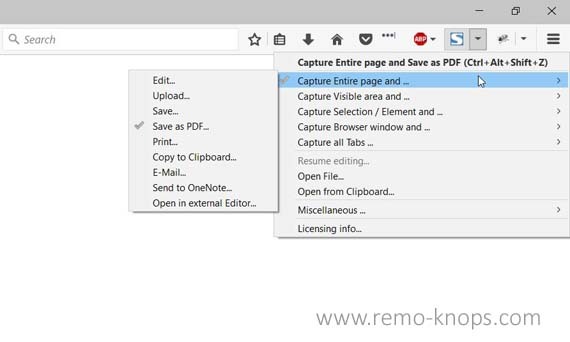 Hey!, I found this information for you: "FireShot – Capture full web page screenshots". 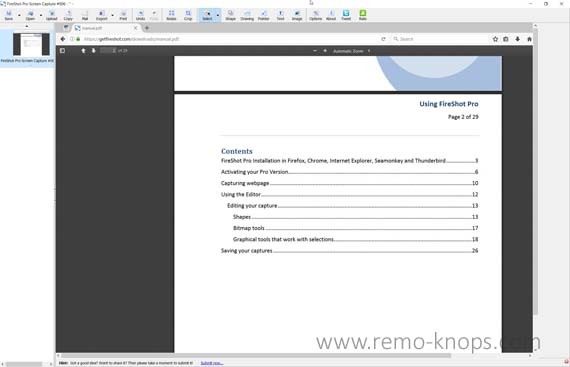 Here is the website link: https://www.remo-knops.com/6126/fireshot-capture-screenshots-firefox-chrome-ie/. Thank you.